I appreciate when crafty friends share their favorite sources of inspiration. I'm always on the lookout for a new favorite designer, or some fresh project ideas. Today I thought I'd do the same for you! I've discovered some new paper craft classes over at Craftsy by some designers that I love, and I wanted to let you in on the crafty scoop. Have you heard of Lia Griffith? She's one of my latest crafty crushes. She shares templates, tutorials, and project ideas for paper crafts, fabric, and other DIY crafts. 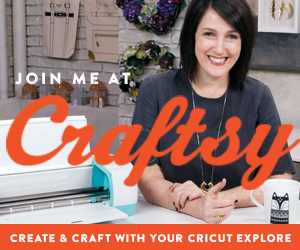 She's also created some fabulous designs for Cricut, and has a new class called Create & Craft with your Cricut Explore. Click the image below for more info on this amazing class. Another one of my crafty crushes is designer Lori Whitlock. Not only do I love her paper collections, but her cutting files are some of my very favorite too. She's got a new class called Next Steps in Silhouette Studio. 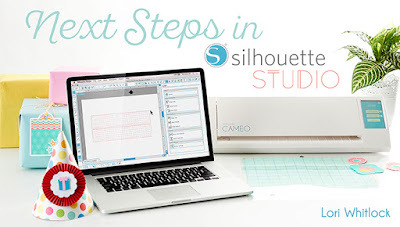 If you own a Silhouette cutting machine I highly recommend taking this class! Click the image below for more class info. Stamping and coloring are super popular trends right now. The graphics and icons available are amazing, and many crafters find coloring a great stress reliever. Stamper Carrie Avery has a new class called 40 Techniques Every Stamper Should Know. Click the image below if you'd like to learn more about her class. Catherine Pooler is an acclaimed stamper and cardmaker whose style includes innovative and playful techniques. 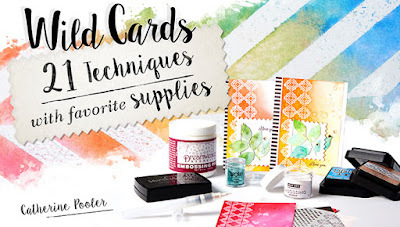 Her Craftsy class is called Wild Cards: 21 Techniques with Favorite Supplies. 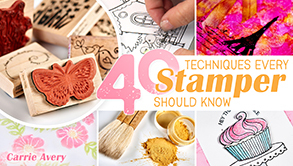 If you love learning fun new techniques with your stamping and cardmaking, this class is for you! Click the image below to find out more. 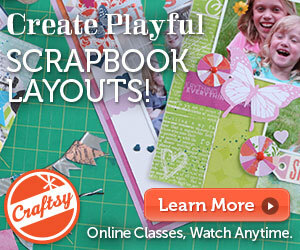 Lastly, if you haven't taken my Playful Scrapbook Layouts class over at Craftsy yet, click the image below to learn more about it and enjoy a 50% discount if you register now. You'll come away with 7 meaningful layouts that include fun and fresh techniques that add a playful feel to your pages. I hope to see you there!